Summer has well and truly arrived, and all this sunshine is putting us in the mood for a party! We’re thinking poolside cocktails and sangria in the sun … whether you want to dress it up with wedges or dress it down with a bikini, we have all the summer style pieces you’ll need right here. First things first, a pair of summer sliders: comfortable, easy and perfectly on trend … you can’t go wrong! 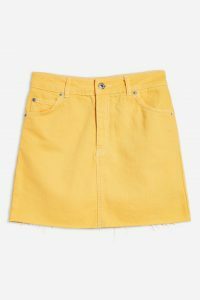 If you really want your outfit to say ‘summer’ (literally!) 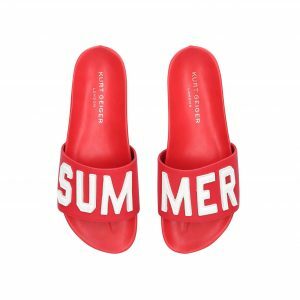 then checkout these bold Kurt Geiger Sliders in fiery red, with a soft leather sole for ultimate comfort. 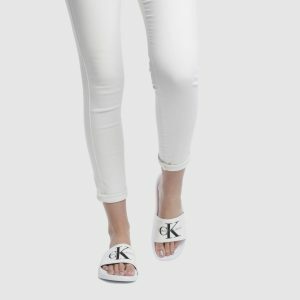 If you prefer something a little more understated, we love this pair of Calvin Klein Sliders in Black & White from Schuh. If going glam is more your thing then take a look at these Kurt Geiger Notty Gold High Heel Wedges, featuring knotted gold rope straps and a statement heel, these shoes are giving us all the nautical vibes. A bikini is a must for a summer party, especially if there’s a pool! Make a statement with this Havana Bikini from Urban Outfitters, the monowire bikini top is a big summer trend and paired with the tropical print, this bikini is ticking all the boxes. Co-ords are everywhere at the moment and what better time to show off a new two-piece than a summer party? 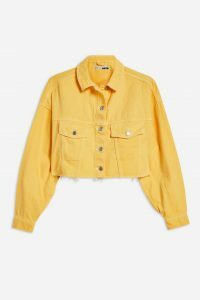 Topshop have nailed it with this sunshine yellow co-ord featuring a denim skirt and matching denim jacket, we think this would look great with a bold red lip. 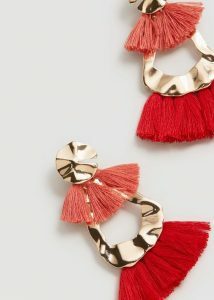 Accessorize your co-ord with a pair of statement earrings, a sure fire way to turn heads! 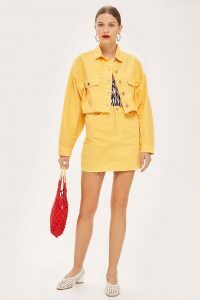 Mango have covered all bases with their range, these Pompon Beads Earrings have bright tassels for a bold summer look, but if colour isn’t your thing they also come in black! So now the outfit is sorted, what about drinks? 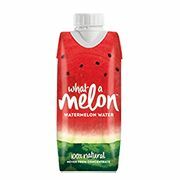 Refresh yourself this summer with Holland & Barrett’s Watermelon Water, with re-hydrating electrolytes to keep your thirst quenched all summer long.